With a variety of styles in our collection of child nightstands, you’re sure to find the unit that’s perfect for your child’s room. Plus, Amish artisans custom-craft each piece. So they’re incredibly study and durable. Far superior to the what you’ll find in big box and bargain furniture stores. Strength and style unite in the Carlisle Children’s Nightstand. 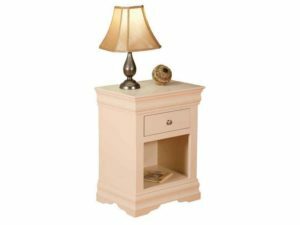 The hand-crafted Contempo Children’s Nightstand features a variety of custom options. The hand-crafted Economy Children’s Nightstand features a timeless design. The hand-crafted Louis Phillippe Children’s Nightstand features a timeless design. 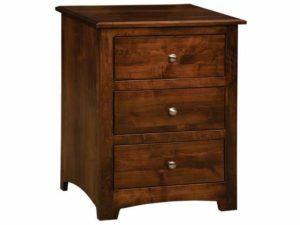 The Monterey Children’s Nightstand boasts a rich wood finish. As you check out the collection of child nightstands above, you’ll notice that the styles run from traditional to country, to sleek contemporary designs. 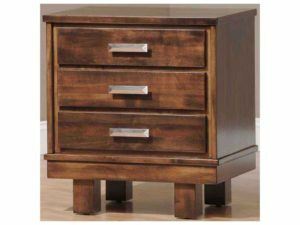 So you won’t have a problem selecting a kid’s nightstand that blends with your existing furniture. Open or closed. You can also choose open or closed options. The open design is ideal for storing children’s books and personal items so they’re easily accessible. Or you might go for the closed design, so everything stays close to hand, but out of sight. Sturdy construction. 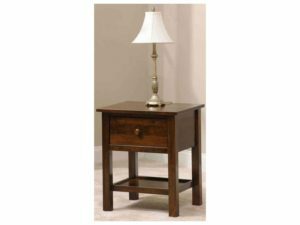 Skilled Amish artisans handcraft each nightstand from quality Midwestern hardwoods like maple, oak, cherry and hickory. What’s more, the Amish men integrate high-end features like dovetail joints in each drawer for enhanced strength. Also, you can get drawers with soft-close slides. So you can close the drawer with just a gentle push. Full customization. You can order your favorite nightstand as shown or unfinished. Or you can ask us to customize it for you. And your choices include wood specie, finish and hardware. 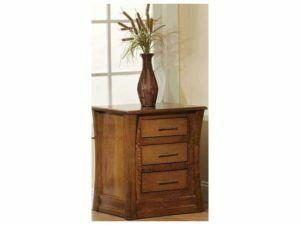 Also the style of nightstand plus soft-close drawer sides.